Windows Update is a reliable tool in most cases, but sometimes it seems to get stuck for no apparent reason. If you’ve experienced this annoying issue and the computer is frozen, then here’s what you need to do. In this article, we’ll take a look at possible solutions to get your computer back on track when it comes to installing updates. With the advent of Windows 10, the system is set to automatically download and install critical updates for your computer. Older versions such as Windows 7 and 8 aren’t so aggressive when it comes to installing new updates. The process for installing updates requires rebooting and it’s entirely possible for something to go wrong along the way. You will often find that various messages persist on the screen indefinitely. So, what’s the cause of this unexpected freezing? 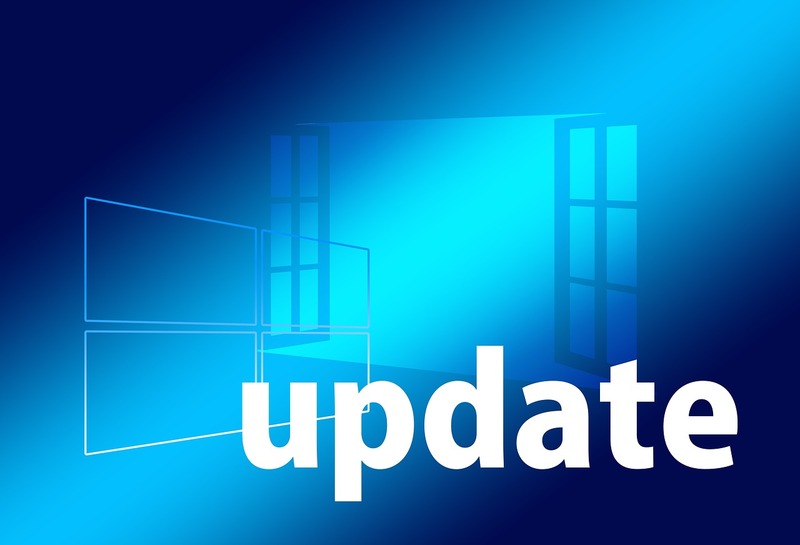 Before we attempt to fix the problem of stuck updates, you need to be certain that truly is a problem with Windows Update. It’s not always obvious that your computer is frozen during updating. Patience is required, but if you’ve waited for 2-3 hours already, it’s probably safe to say that you’re stuck. Another tip is to look at the hard drive activity light. If it doesn’t blink at all, chances are high that your computer is frozen. Now that you’ve confirmed the issue, let’s see how you can get your system out of this state. This may trigger a response from the computer only in certain cases. For example, if the update is stuck at a very specific part during installation. This command will give you the Windows login screen. Most likely, it won’t work, but it’s worth a shot. Although Windows warns you not to do this, it has to be done if the computer’s truly stuck. Restarting can be done in two ways. Use the reset button or simply keep the power button down to shut the computer off completely. Then just press it again to start the PC back up. If you’re lucky, Windows will resume the installing process for the updates. Windows 10 users are likely to be automatically redirected to Advanced Boot Options after restarting. If that’s the case, it’s recommended to choose Safe Mode. We’ll look into this option in the following step. Starting up Windows in Safe mode allows you to diagnose problems as only the minimum essential resources are loaded – such as system services and drivers. Try when you’re in this mode to finish the updates. This will probably solve the issue of getting stuck because of other program conflicts. If this works and the updates have been successfully installed, reboot the computer to get back to your normal Windows. Incomplete installations have probably made some changes which need to be reverted. That’s why you should rely on System Restore, this handy Windows tool which allows you to choose a restore point made before installing the update. Windows will automatically create this restore point for you, so you should find it when accessing the app. To do that, you might want to go once again in Safe Mode. It’s likely that you’re not able to access Windows normally. Search for ‘restore’ in the search box of the Start menu and you should find the option to access a previous restore point and undo the unwanted system changes. If everything works as expected, your computer should be back in the state before the updates began to install. There’s a possibility that System Restore can’t be accessed in Safe Mode. In that situation, there’s still something left to try. You can access the Advanced Startup Options which took over in the newer Windows versions (10/8) from the old System Recovery Options present in Windows 7 and Vista. In Windows 10 and 8 accessing the recovery options is done by following the path Settings > Update & Security (Recovery for Windows 8) > Recovery. If you’re using Windows 7 or Vista you will have to go to the Advanced Boot Options accessed in the booting menu. A restart is required after which you need to be quick to press F8 when prompted. System Restore should handle the problem of undoing changes, but when it comes to Windows updates you could also try to go through a repair process. The option you need to use is called ‘Startup Repair’ and will be found on the same Advanced Startup Options menu previously covered in this troubleshooting guide. This convenient option is available only in Windows 10 and 8. For Windows 7 and Vista there is a way to do a startup repair, but it’s a bit more complicated as you will need to find your operating system DVD and access the option from the Windows installer. This is an easy step. Testing the memory could be important because it’s a possible cause for a stuck installing process for your updates. The simplest way to deal with this test is by accessing the free integrated tool provided by Windows. It’s called Windows Memory Diagnostic. It almost goes without saying, but you will most likely need again to be in Safe Mode to go through this process. Although not a very common cause, an old BIOS could still potentially affect your system when installing updates. The process for doing this is quite complicated so you will need to properly research it. A BIOS update could help with your problems if there’s a situation when the update causing the freeze is involved with any of your built-in hardware, particularly the motherboard. A more extreme option is to completely reinstall Windows. This is the final troubleshooting step and is obviously not required for anyone. It’s simply the last fix to try if nothing seems to get your computer unstuck when installing Windows updates. With a clean install, you will be erasing all the contents of your C drive, the one where usually Windows is installed. If all the other fixes didn’t work, you need to consider this option because it’s highly possible to get rid of the problem you were having with installing the updates, once and for all. Did you find our article helpful? Then you might also be interested in our articles about How to Format a Hard Drive in Windows and How to Find Your Windows Product Key. ⟵What Is a DAT File and How to Open One?